EdTech, Focus on K12, magazine has announced their 2018 edition of the 50 Must Read K-12 IT Blogs. There are some great blogs on here that I follow (including my own) and some new ones that I didn't know about that look really great. Take a look and check them out. 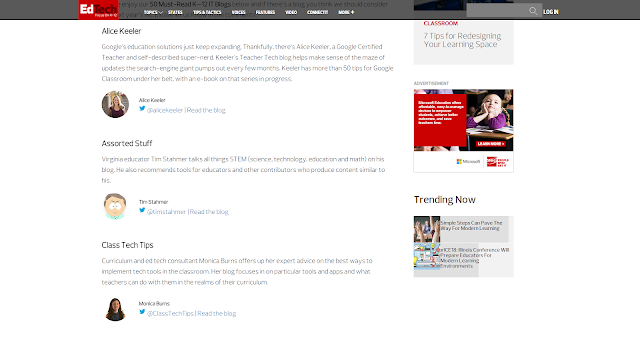 The site is an awesome free resource itself with articles, interviews and videos about Edtech.